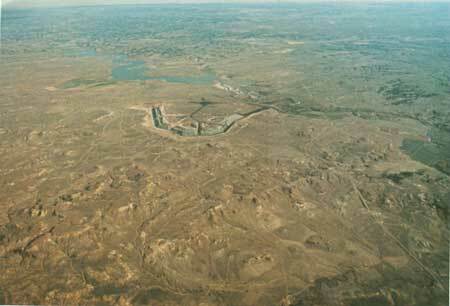 Unmineable coal beds are potentially large storage reservoirs for CO2 capture and storage. Furthermore, unmineable coal beds are attractive CCS sites because they offer the benefit of enhanced methane production, which can offset some of the costs associated with CO2 CCS activities. Researchers with BSCSP analyzed the interaction of CO2 and coal within study sites located in the Powder River Basin of Wyoming and Montana. In particular, researchers investigated the swelling or shrinkage of coals that occurs as gas is adsorbed or desorbed, which is also referred to as sorption-induced strain. A new method of obtaining sorption-induced strain was developed that greatly decreases the time necessary for data collection and increases the reliability of the strain data. 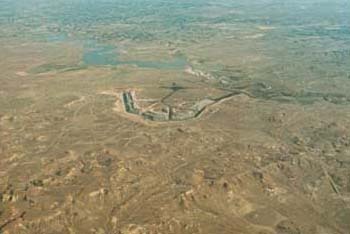 In addition, an economic feasibility study of CO2 capture and storage in unmineable coal seams in the Powder River Basin of Wyoming was performed. A variety of CO2 injection options were compared in a cost-benefit analysis. Results show that injecting flue gas to recover methane from CBM fields is marginally economical; however, this method will not significantly contribute to the need to store large quantities of CO2. Separating CO2 from flue gas and injecting it into the unmineable coal zones of the Powder River Basin seam is currently uneconomical, but can effectively sequester over 86,000 tons (78,200 Mg) of CO2 per acre while recovering methane to offset costs. Therefore, the cost to separate CO2 from flue gas was identified as the major cost driver associated with CO2 CCS in unmineable coal seams. Advanced technology and improvements in equipment that could effectively separate CO2 from flue gas could bring the costs down but additional economic incentives are required to make enhanced coal bed methane (ECBM) economically beneficial in the Powder River Basin. “Enhanced Coal Bed Methane Recovery and CO2 Sequestration in the Powder River Basin: Final Topical Report”. Big Sky Carbon Sequestration Partnership. June 2010. Submitted to Department of Energy (DOE) and National Energy Technology Laboratory (NETL).